Chalk is frequently used as a medium in street art, but it’s never been quite this sophisticated and downright stunning before. 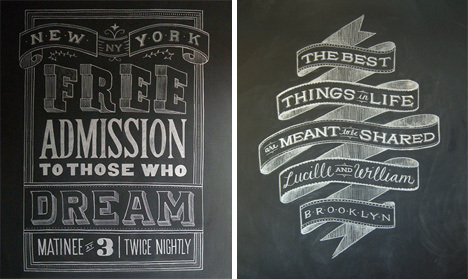 Graphic designer Dana Tanamachi does unique custom chalkboard lettering that’s so precise and so gorgeous it will take your breath away. 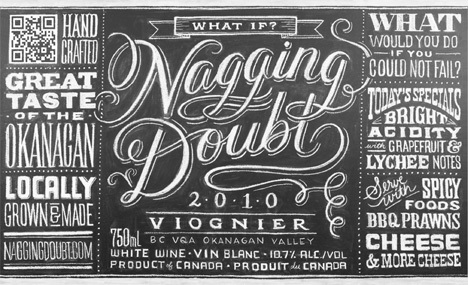 By day Dana Tanamachi is a designer with Louise Fili Ltd, a well-known lettering studio that creates some of the most memorable typography work in the world. 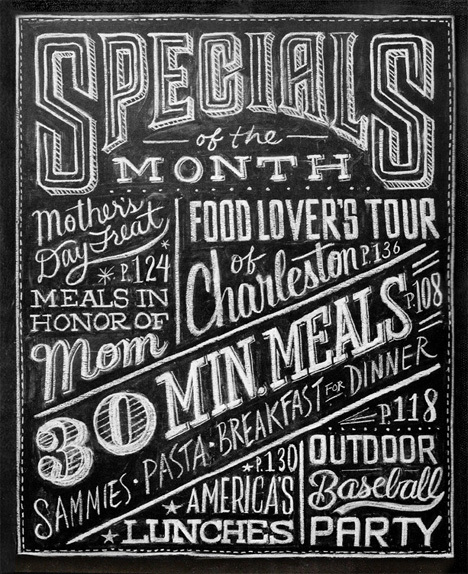 But by night she freelances as a chalk artist, turning sticks of chalk and boring blackboards into amazing works of lettering art. 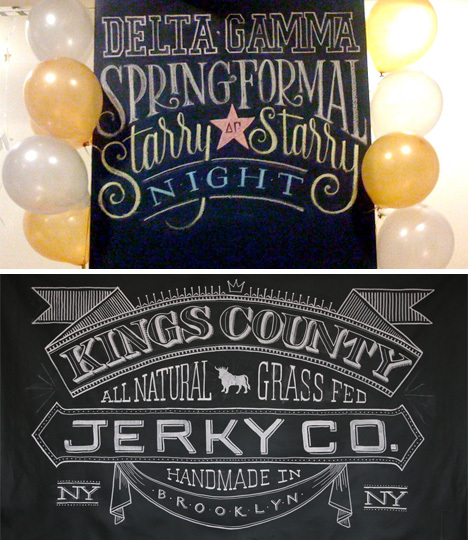 The intricate details and beautiful flourishes bring to mind the lost art of classic sign painting. Some of the letters seem to almost jump off of the page, giving these temporary works of art an added dimension that makes them all the more appealing. Even though she doesn’t use any kind of stencil, pattern or transparency to create her works of typography art, Dana’s creations are always precise and sharp. The fact that most of us can’t write in a straight line on a chalkboard, let alone create gorgeous letter pictures, makes her art all the more impressive. As beautiful and memorable as these pieces are, they are also entirely temporary. 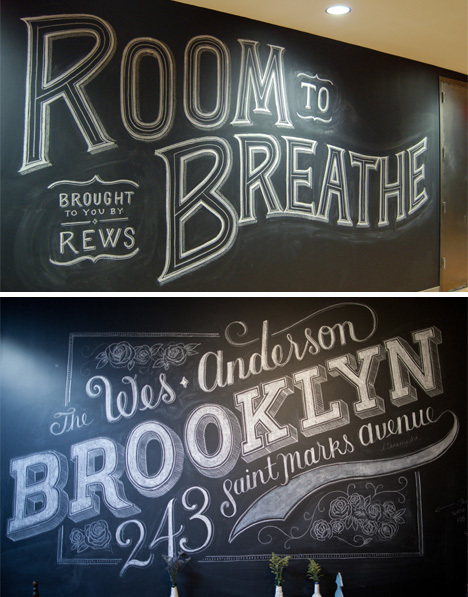 Chalk doesn’t last forever, after all, and chances are that the chalkboard owners will need to reuse that space for something else eventually. Knowing that the lovely letters will soon be wiped into oblivion makes us feel almost as though we’re looking at a frozen moment in time, gazing at art that is here today but will be gone tomorrow.